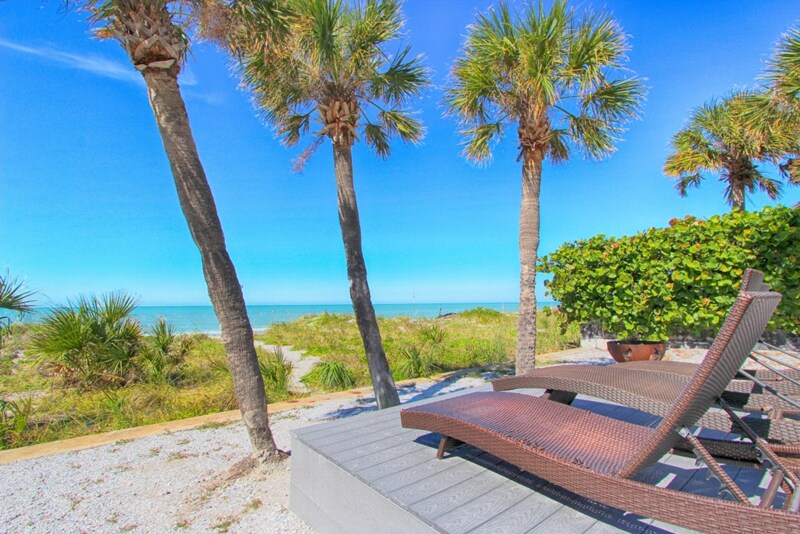 Your tropical beach holiday awaits! 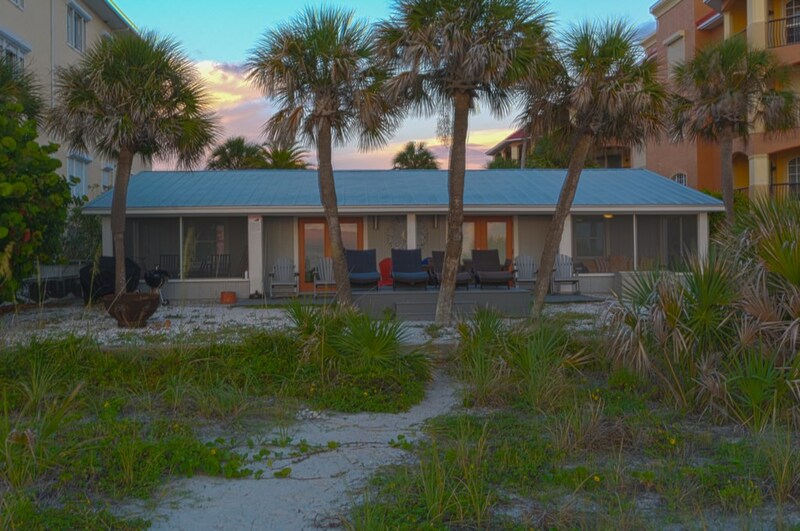 This updated beachfront duplex features modern interior, ideal floor plan and beautiful views of the beach. 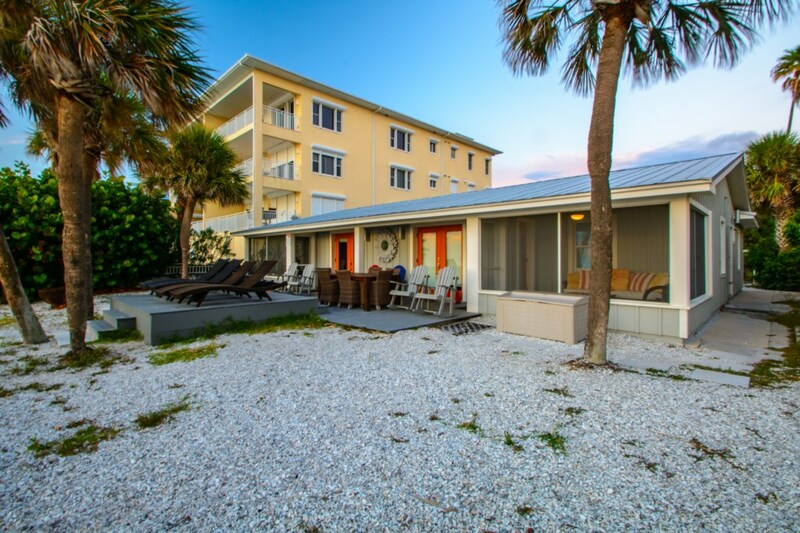 This oceanfront duplex features 2 cottages with a total of four bedrooms and sleeps a total of 8 guests comfortably. 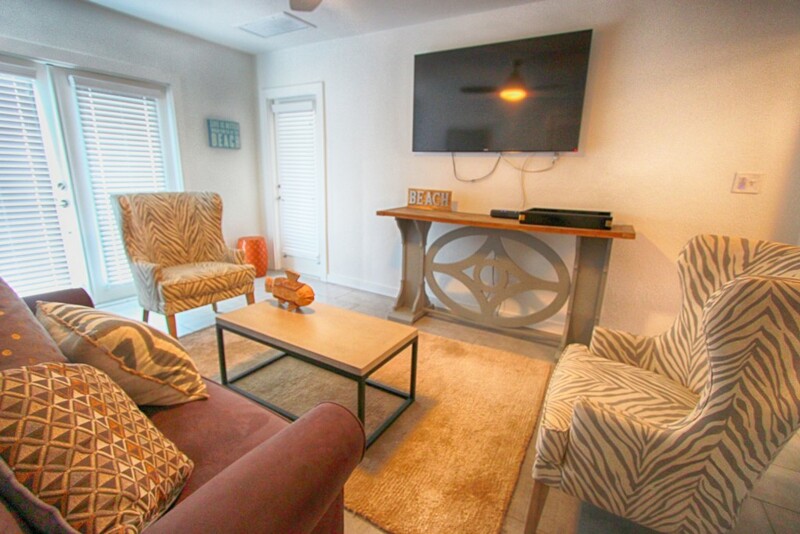 Each cottage is beautifully decorated for your relaxation and enjoyment. 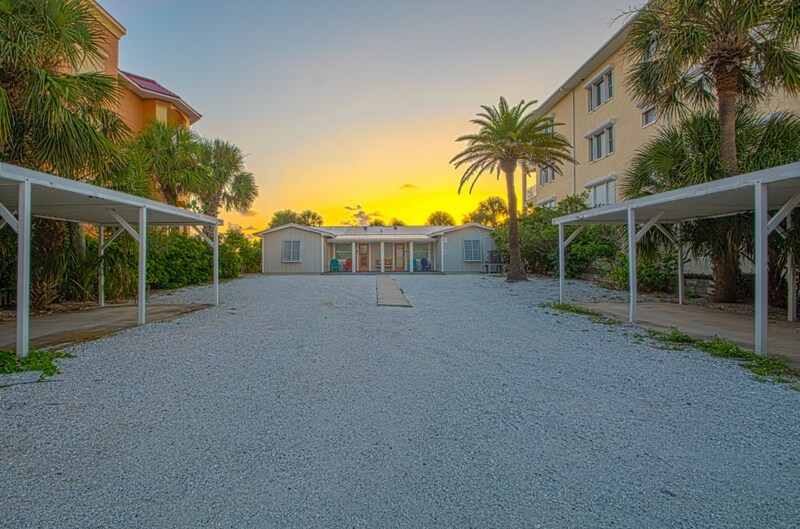 The beachfront cottages are part of the 3 Palms Retreat which is a large beach compound located in Indian Rocks Beach. 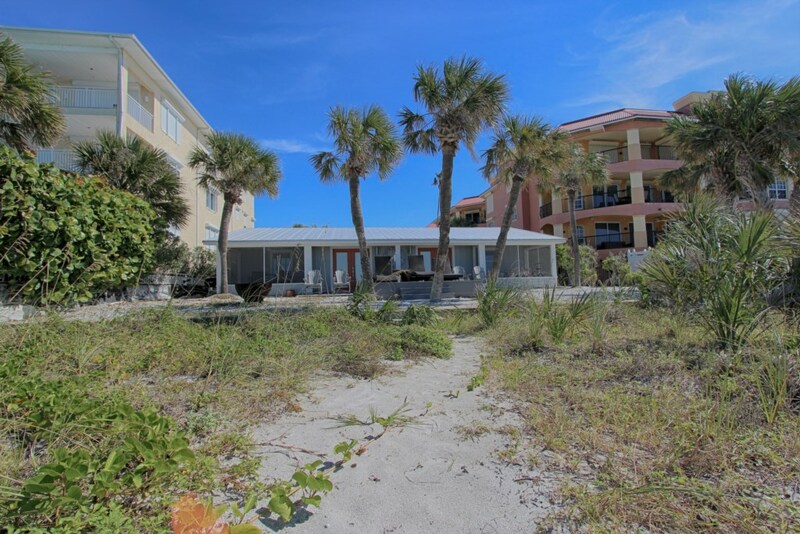 In this compound you will find this beachfront duplex and a single family home. 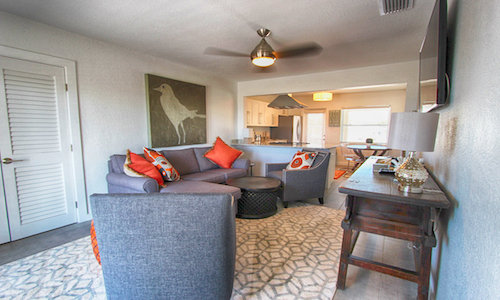 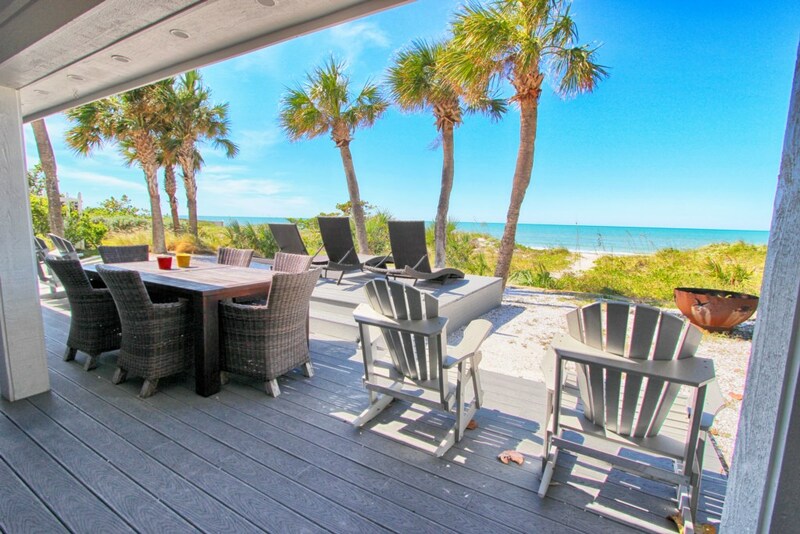 This large family-friendly beach retreat can be rented separately or together. 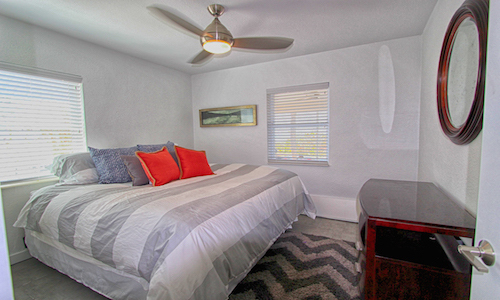 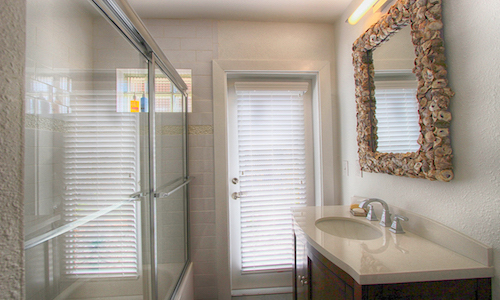 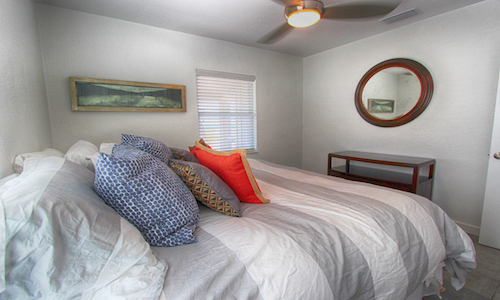 The layout of the duplex is composed of two 2-bedroom, 2-bathroom cottages. 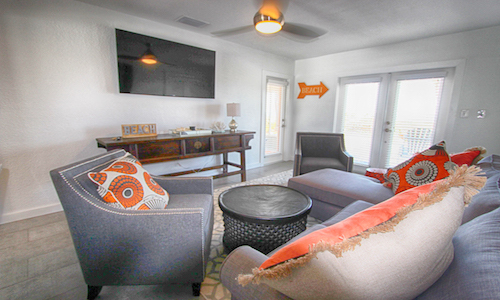 These are fully equipped cottages with 2 bedrooms each which means that family and extended family will have enough room and privacy during their stay. 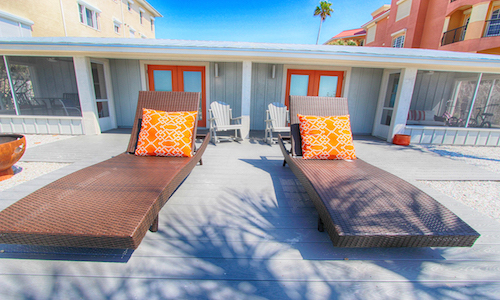 The cottages do not connect to each other; they have separate entrances but share a common beachfront patio. 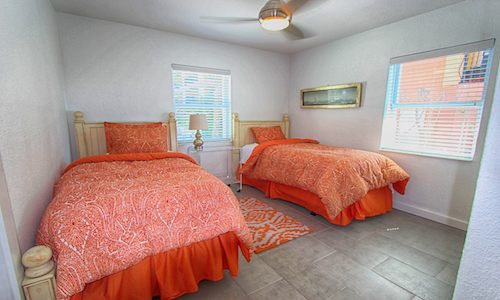 Cottage 1 features a King size bed in one bedroom and 2 twins in the second bedroom and Cottage 2 is equally well appointed with 1 King size bed in one bedroom and 2 twins in the second. 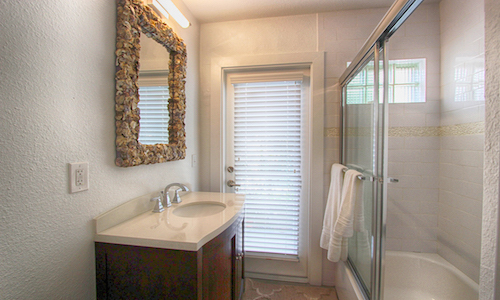 They each have one full bathroom. 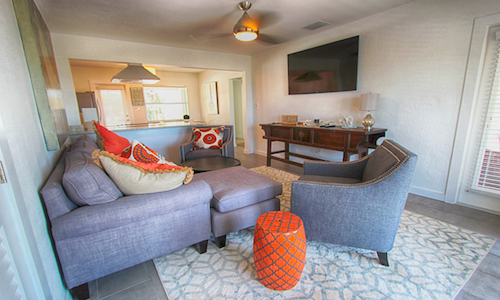 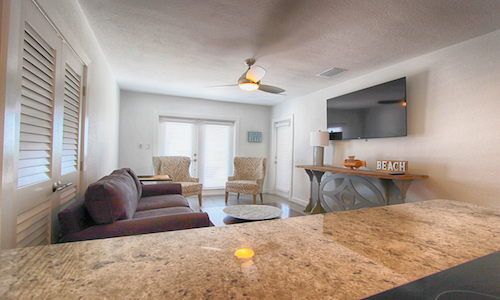 Each living room features a comfortable sofa, a flat screen television that is equipped with a cable television package that allows you to access dozens of channels, plenty of seating for your guests. 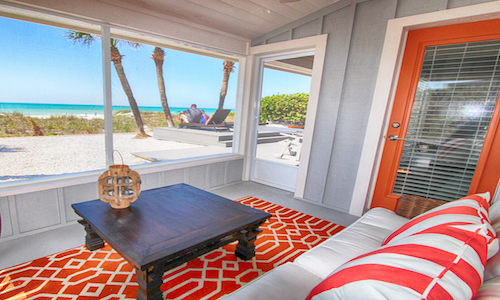 Each living room has ocean views. 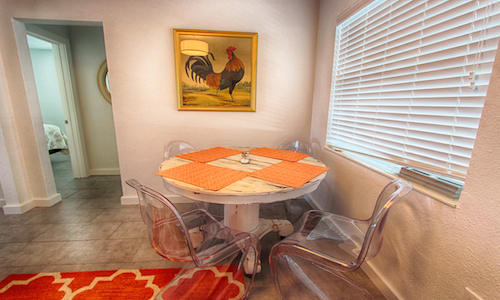 Each dining room seats 4 comfortable. 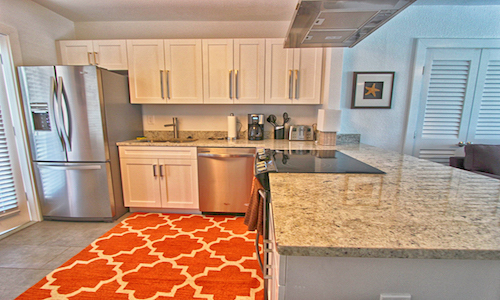 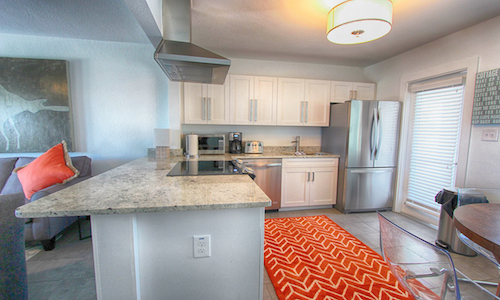 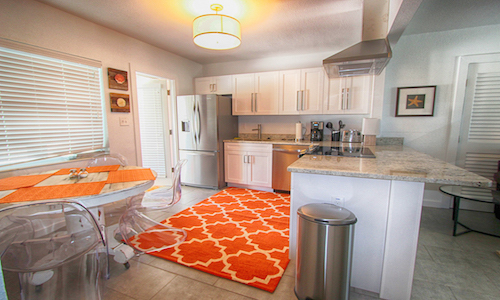 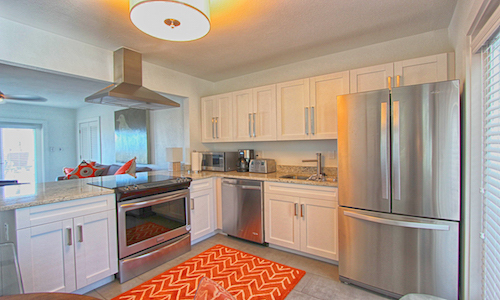 The kitchens are also fully equipped and open up to the living and dining area. 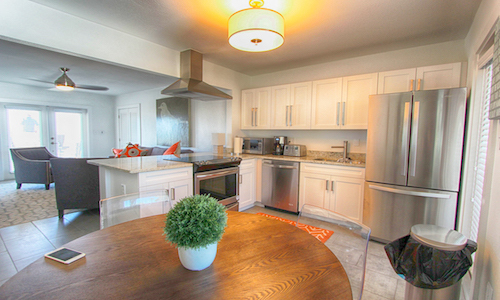 The kitchen and dining rooms are well appointed for eating in and cooking for the whole family. 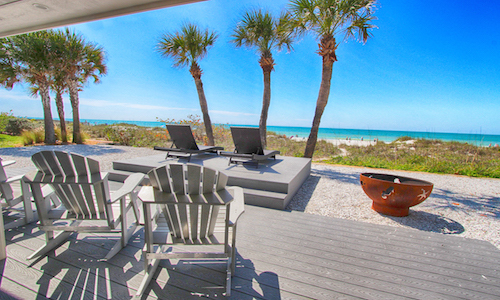 Each cottage also features Beach-front screened in porches that have open air and comfortable seating. 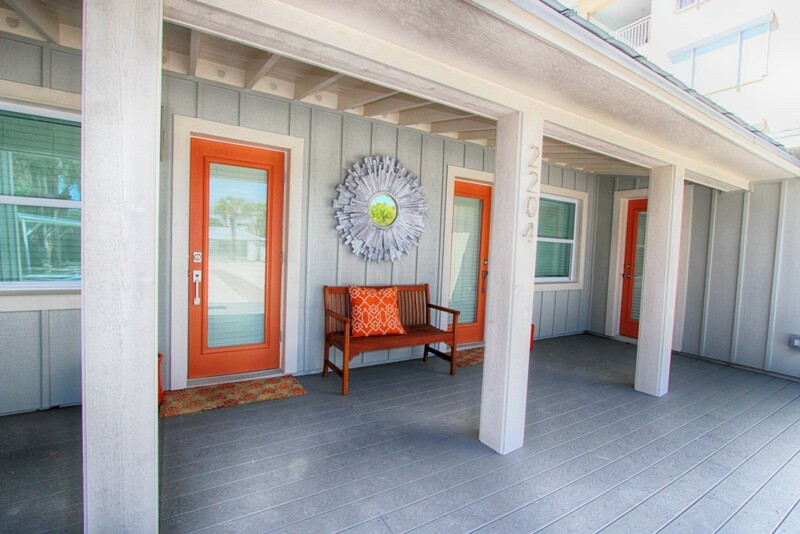 Each porch has plenty of space for everything you’ve brought to the beach. 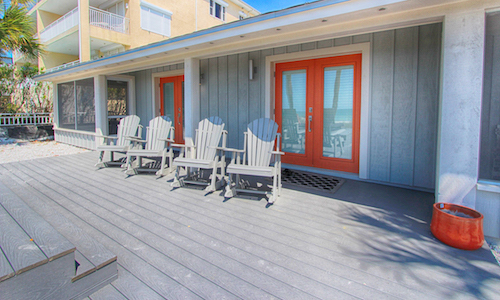 The shared gulf front patio has lot's of room for extended families. 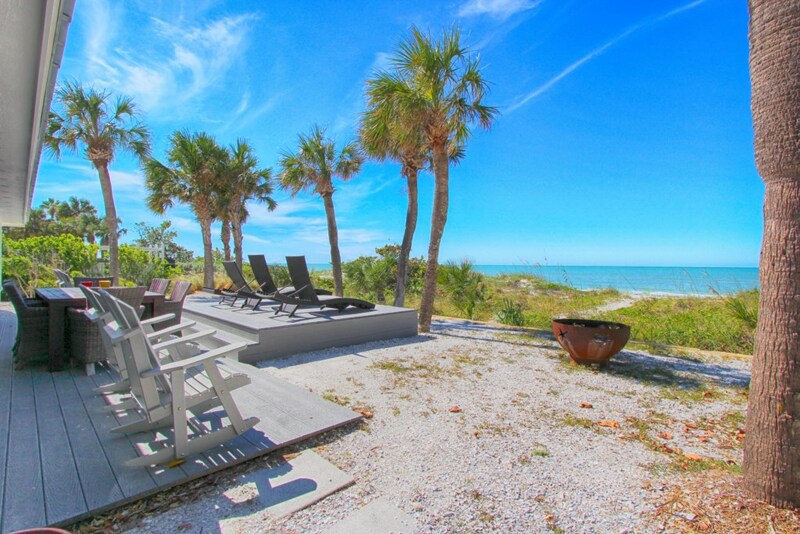 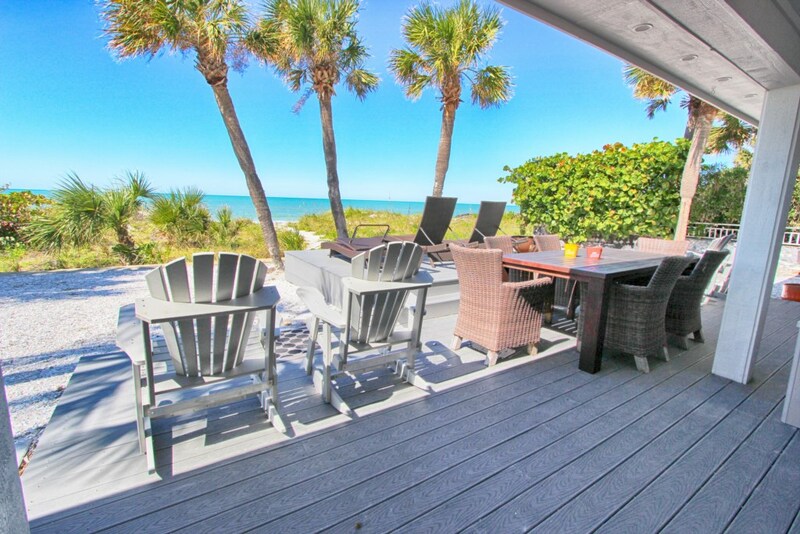 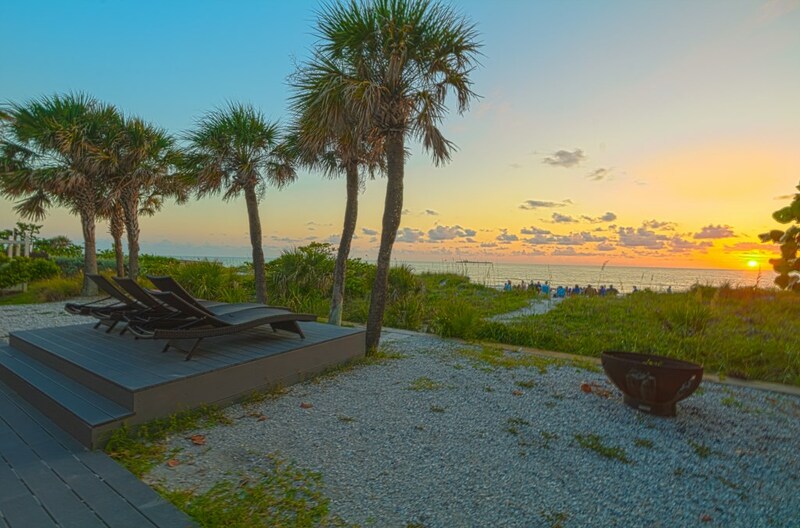 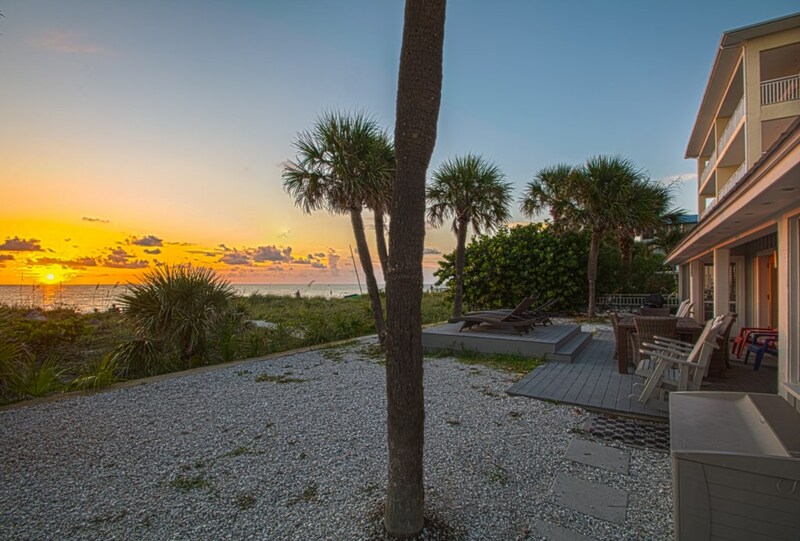 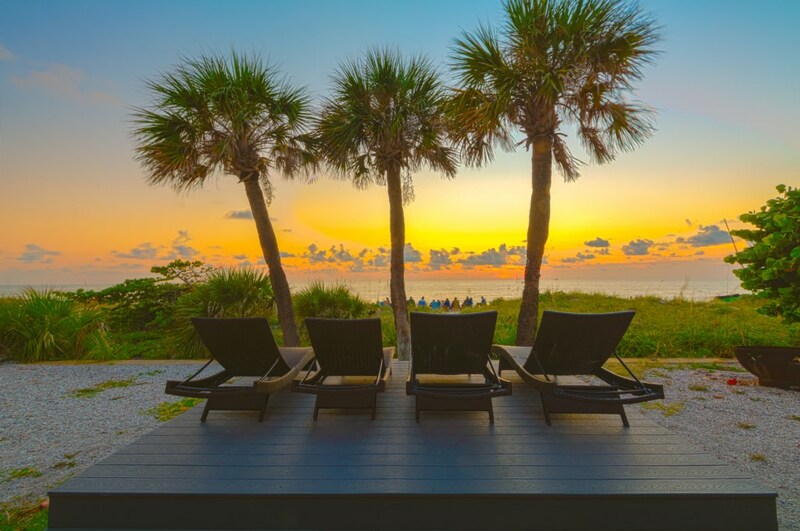 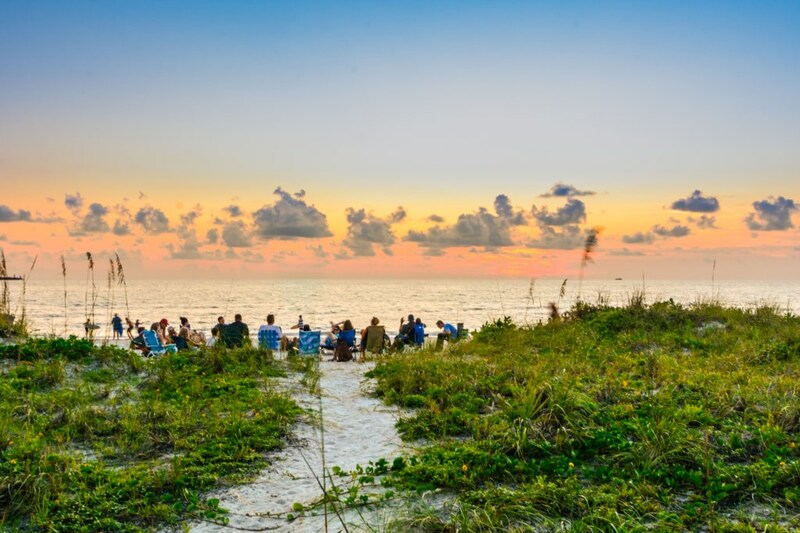 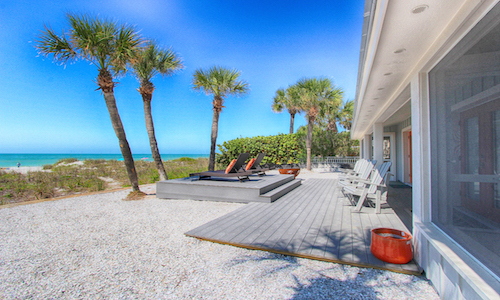 Indian Rocks Beach is an all-encompassing beach area with the some of the best vacation rental experiences. 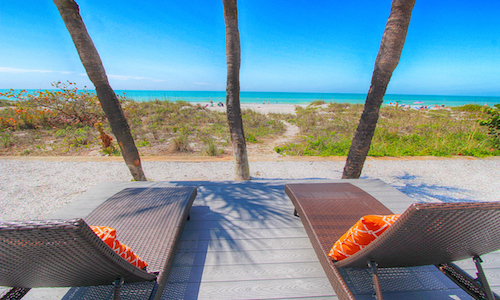 Enjoy parasailing, jet skiing, tennis, golf, shopping, beach yoga or a soothing body massage. 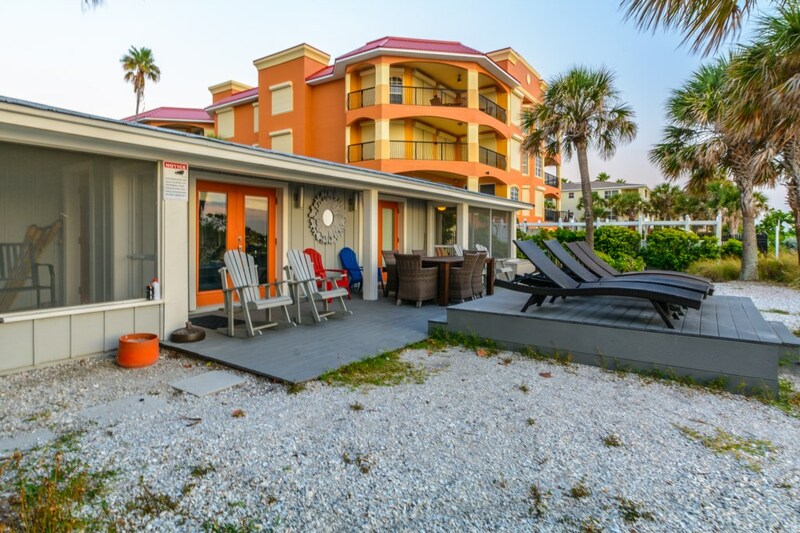 If cooking for yourself isn't’ part of your vacation plans, there are plenty of dining options walking distance from our cottages. 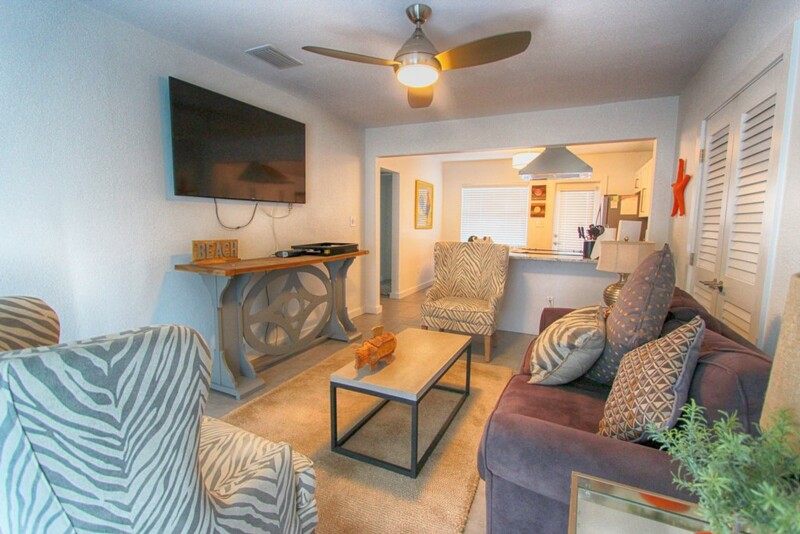 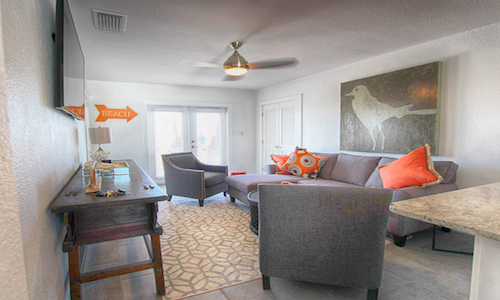 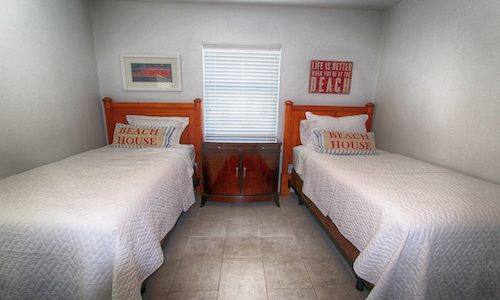 If you are looking for the finest vacation available in the Indian Rocks Beach area our 3 Palms Beachfront Cottages is just the place for you and your family to enjoy a truly memorable beach vacation. 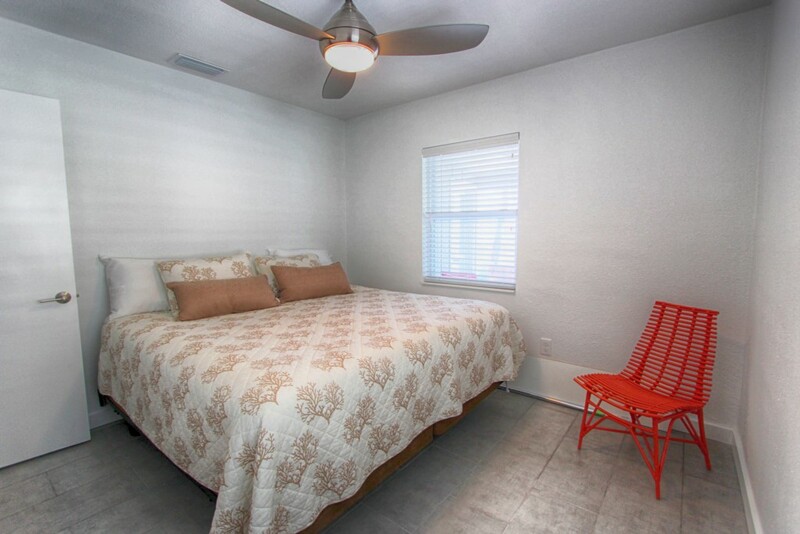 Arrange your rental now, because it may not be available later!